Our concept is complete for our change of use project in the East Midlands. 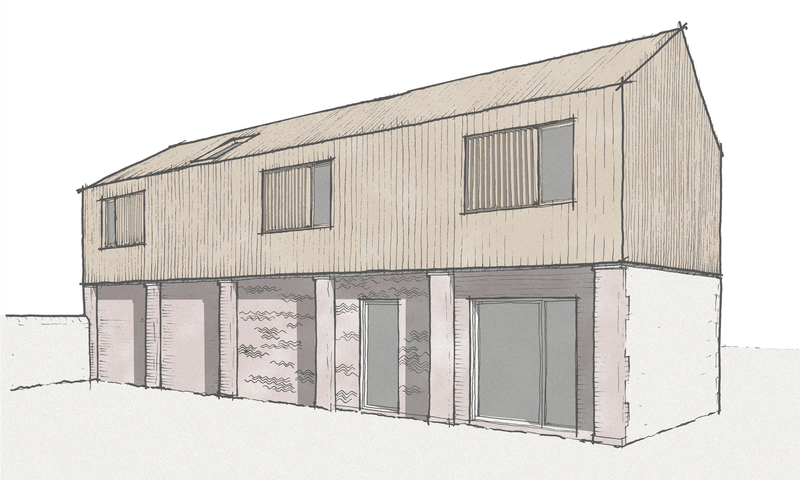 We are proposing to convert the existing garage into a self contained holiday home. The outbuilding will also include a home gym and study, serving the main dwelling. The plan is to remove the clay tile roof and replace it with a light weight timber first floor structure, clad entirely in Siberian larch. Our favourite detail is the stacking of the original roof tiles to be set in limecrete. This will form external masonry walls between the original pillars of the garage. We will be submitting the project for planning approval next week.